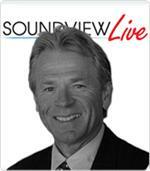 In this Soundview Live webinar Peter Navarro shows you how to "always be a winner" over the course of the entire business cycle — not just when economic times are good. To do this job, he arms you with the strategies, tactics and forecasting tools you will need to profitably manage your organization through the business cycle seasons-from the best of boom times to the worst of recessionary times. A recession can do far more damage to your organization than any of your ten toughest competitors.